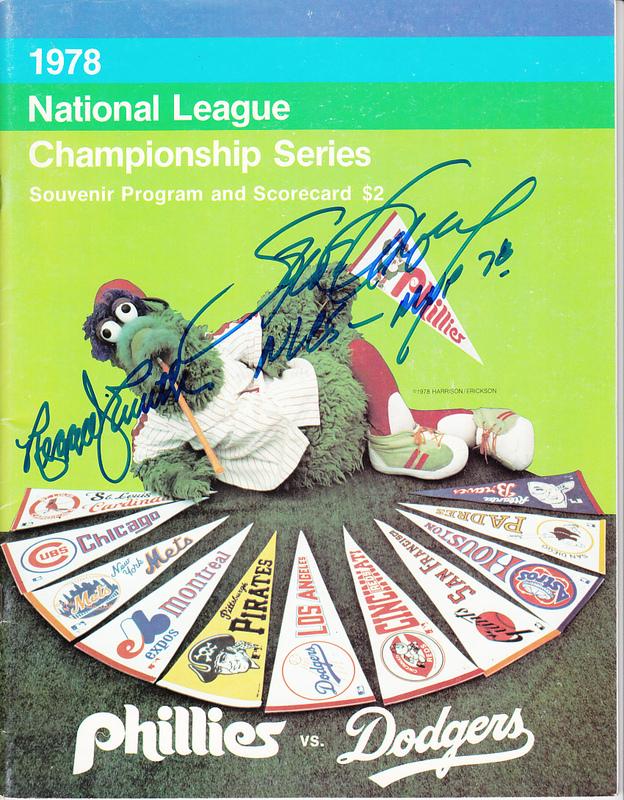 Original 1978 National League Championship Series program autographed in blue marker by former Los Angeles Dodgers superstars Steve Garvey and Reggie Smith. 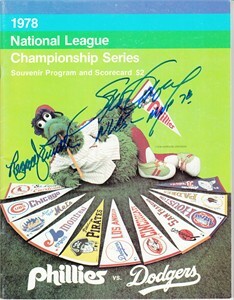 Garvey was the series MVP and added NLCS MVP 78 to his signature. Has minor wear. With certificate of authenticity from AutographsForSale.com. ONLY ONE AVAILABLE FOR SALE.